The DJI Inspire 1's performance will be reduced when the Inspires's intelligent flight battery is subjected to a cold environment. 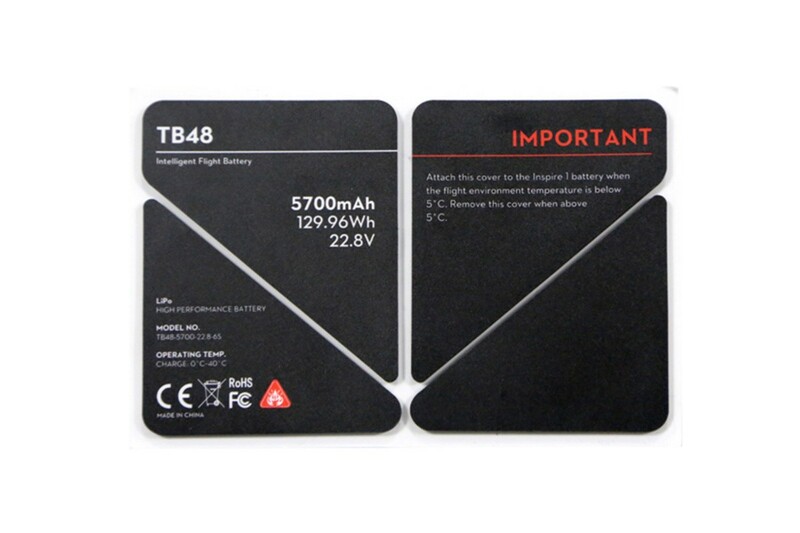 These insulation stickers help to maintain a suitable temperature so that the battery performance will not be reduced. This insulation sticker is designed to keep the DJI Inspire 1 TB48 Battery 5700mAh within the temperature range which is ideal for flights when the temperatures drop down to 5˚C and below. When the temperatures exceed 5 ˚C the insulation should be removed. These insulation stickers can be used with the DJI Inspire 1 Battery Heater to maintain the optimum battery performance.